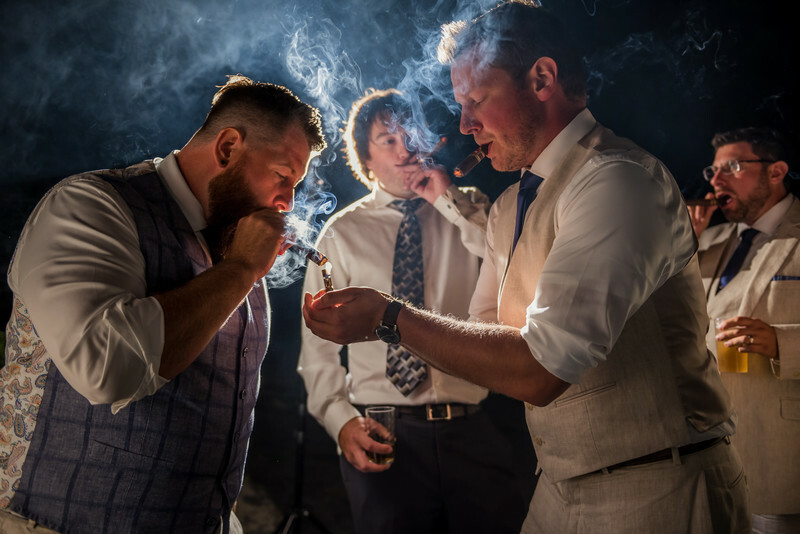 Here is an amazing shot of all the groomsmen enjoying a smoke after a day full of wedding festivities. I notice early in the day when photographing wedding details that the groom had a box of "Cuban's" set aside for a certain special time. I know that this shot would be taken later that evening and had everything ready in advance to capture the image. Back light and smoke work so well together and in this shot I placed a single speedlight behind the grooms head. I waited for the best man offer a light and moved myself so the remaining groomsmen in the back could be seen in the frame. This is the final image and one of my favorites from the day. Keywords: Joshua Atticks Wedding Photography (249).